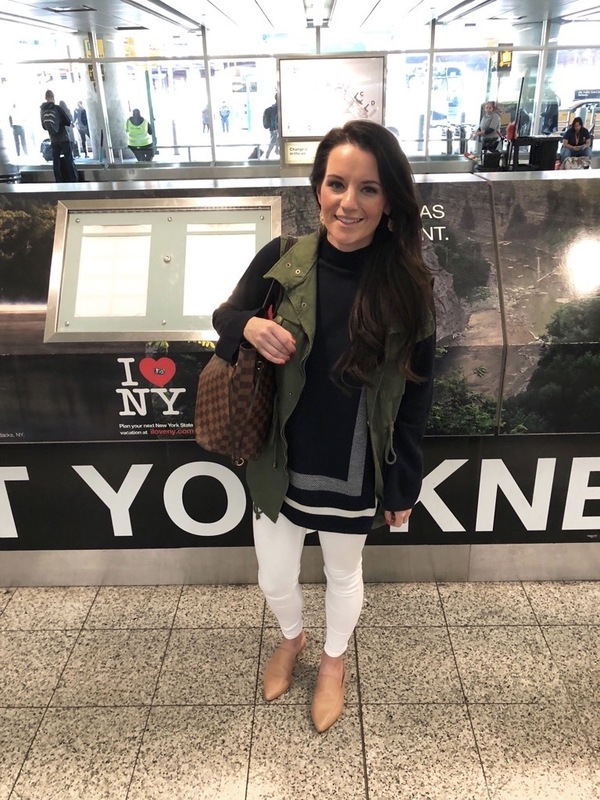 This year for the Thanksgiving holiday, Chris and I headed up to New York City. Thanksgiving is one of the best times of the year to visit New York because of the plethora of events it has to offer. Whether you’re coming to see the Macys Thanksgiving Day Parade, run in the marathon, enjoy a sumptuous Thanksgiving feast, or simply take in the fall colors in Central Park, there is something for everyone in NYC. It’s the kickoff to an amazing holiday season, and is a wonderful holiday in its own right. This is most-definitely my favorite hotel I’ve stayed in New York thus far, and easily in my Top 5 of all hotels we’ve stayed worldwide. From the moment you walk through the entrance, you are transported to another place and time. This is old world elegance at its best together with outstanding customer service. We were made to feel as if we were the most important guests in the hotel. 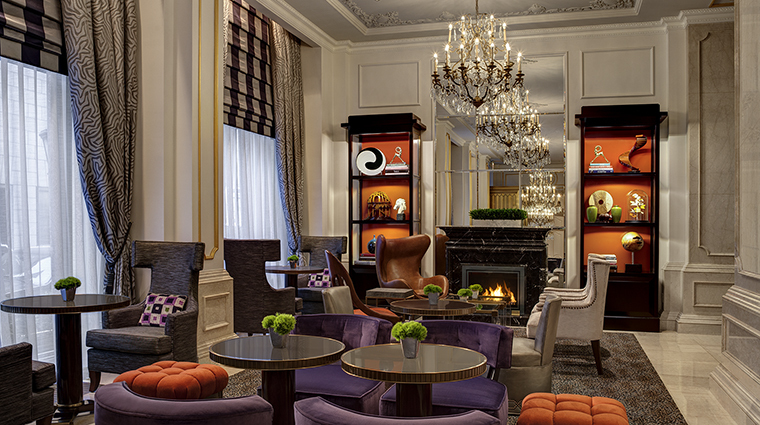 The hotel is beautiful, impeccably maintained and magnificently appointed. 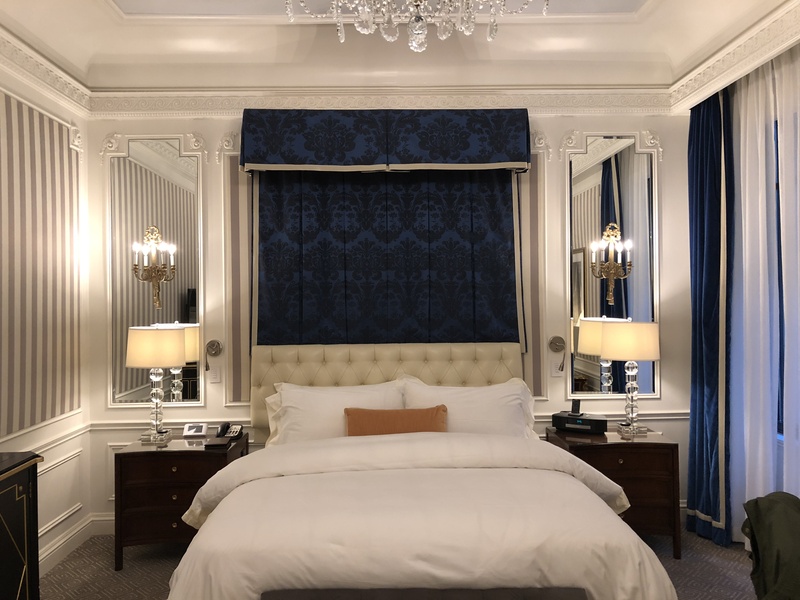 Located in the heart of midtown Manhattan, The St. Regis New York is within walking distance of Central Park and right on Fifth Avenue. The genuine level of service and gracious attitude of the staff at the property is what truly made for a memorable stay. 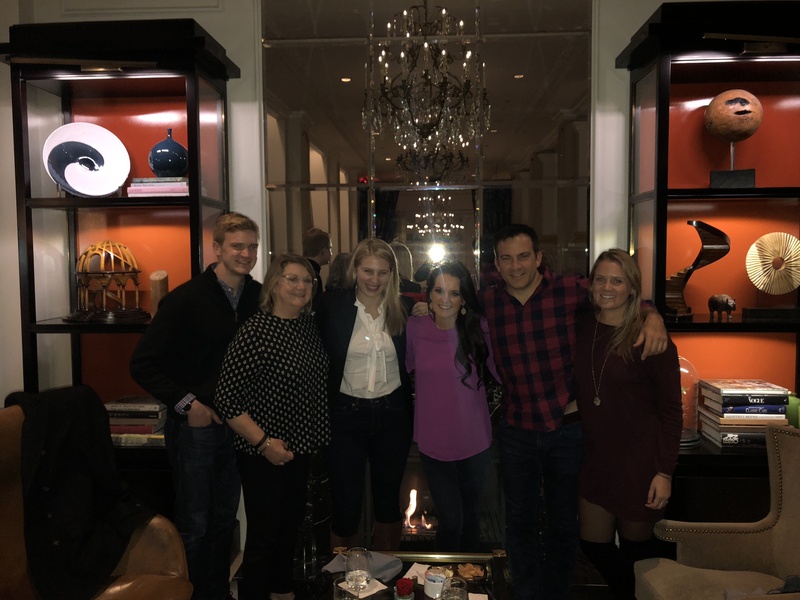 After checking in, we started the trip off with a cousins’ night at King Cole Bar, a quaint cocktail lounge in the St. Regis Hotel. 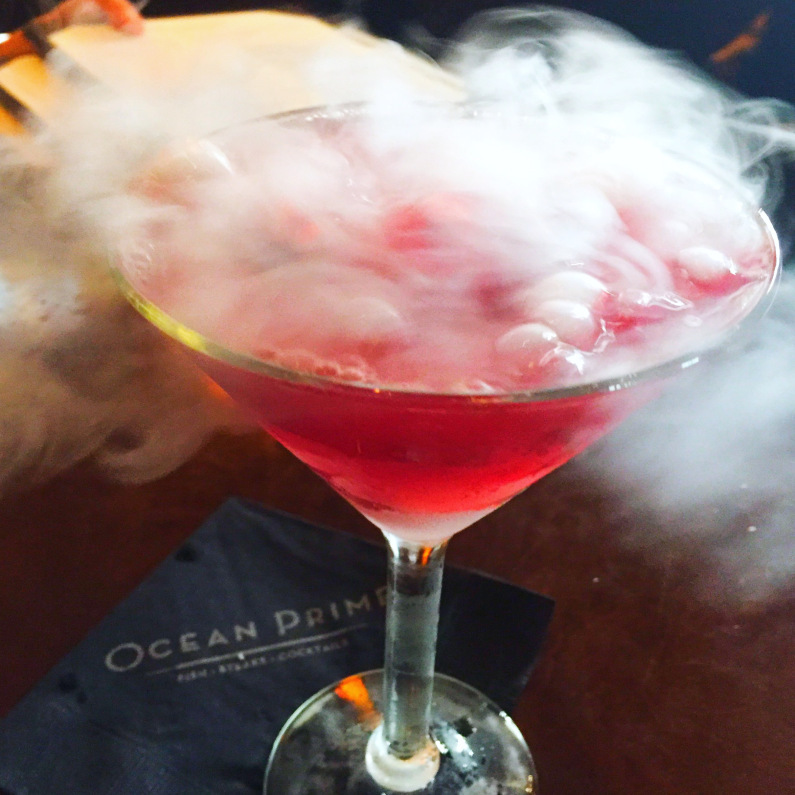 The drinks are very well made and the atmosphere is cozy, we were seated by the fireplace in oversized comfy chairs. 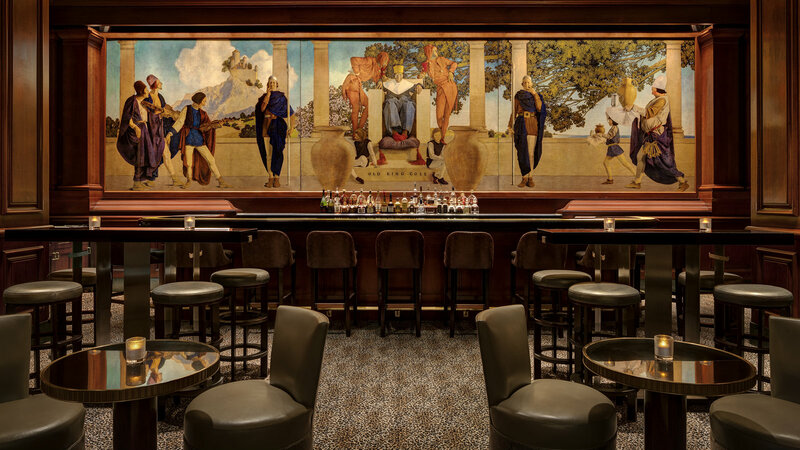 The magnificent mural by Maxfield Parrish that hangs behind the bar is not only eye-catching but also a clever thought-provoking conversation piece. It features “Old King Cole” who was a “merry old soul” calling for his ‘fiddlers three’ and some other musicians. Our server informed us that Parrish painted the mural in 1906 specifically for the St. Regis bar. In addition to this incredible painting, the King Cole Bar has another claim to fame: as the supposed birthplace of the Red Snapper — or the celebrated Bloody Mary — in 1934. The King Cole Bar bar is absolutely an iconic place to visit when you’re in NYC and definitely worth your time. Outfit: Pink Top / Dark Denim / Booties /Earrings are from years ago but I love these too! After meeting up with my family, Chris and I headed across the street to the Polo Bar. 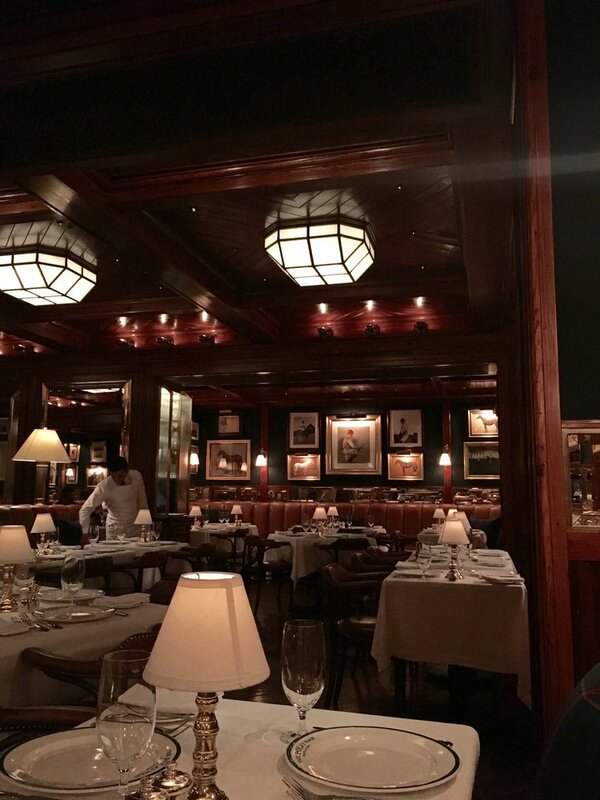 The Polo Bar is a handsome American restaurant by designer Ralph Lauren, serving classic dishes, bar bites & drinks. This was our second visit and hopefully not our last. 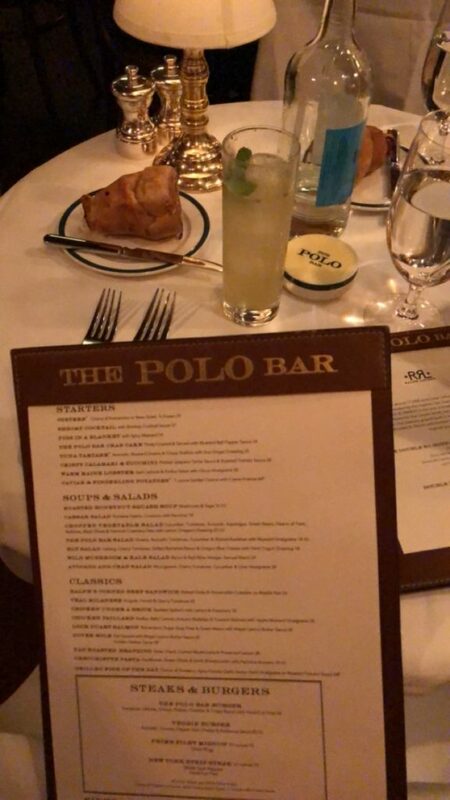 If you haven’t been to Polo Bar – you should put this on your list! Be sure to book a reservation, which sometimes take weeks/months of advanced noticed! 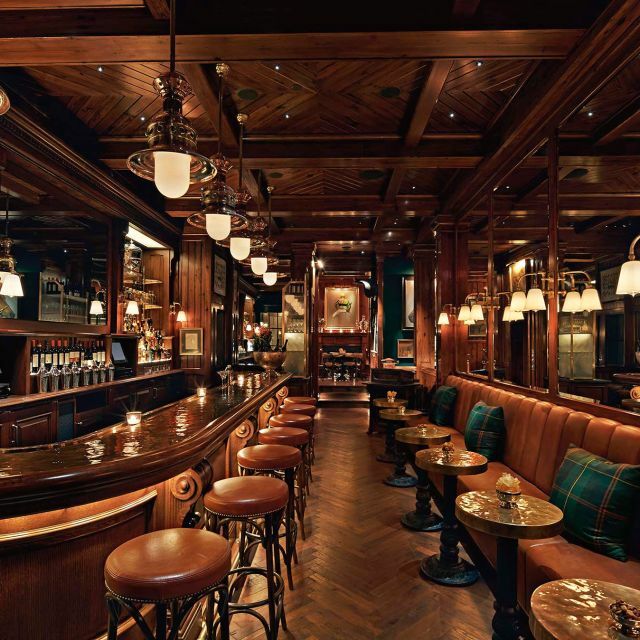 One other note, Polo Bar requires you have to have a table reservation to be able to have a drink at the bar. The next day, on Thanksgiving morning, we woke up late, watched the Macy’s Parade, and then enjoyed the beautiful weather while walking around Manhattan. Then we enjoyed one of the best Thanksgiving dinners I’ve ever had. (Sorry Dad!!) at Jean- George. Let me start by saying that the customer service here is impeccable. They were extremely accommodating and created a custom tasting menu for me that consisted of no seafood. 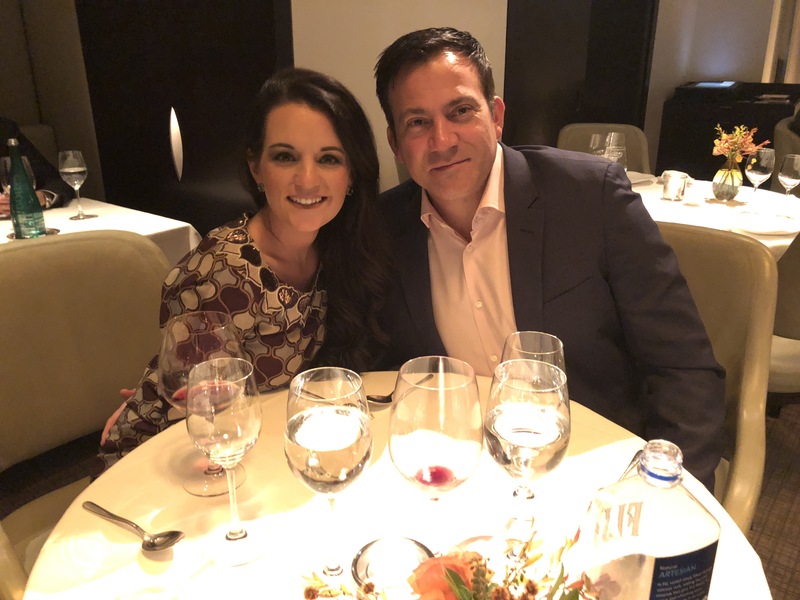 The food and wine pairing went together perfectly with a few fun surprises throughout the course of the evening. The atmosphere is refined and elegant, and with floor‑to‑ceiling windows it provides for a stunning view of Central Park and Columbus Circle. 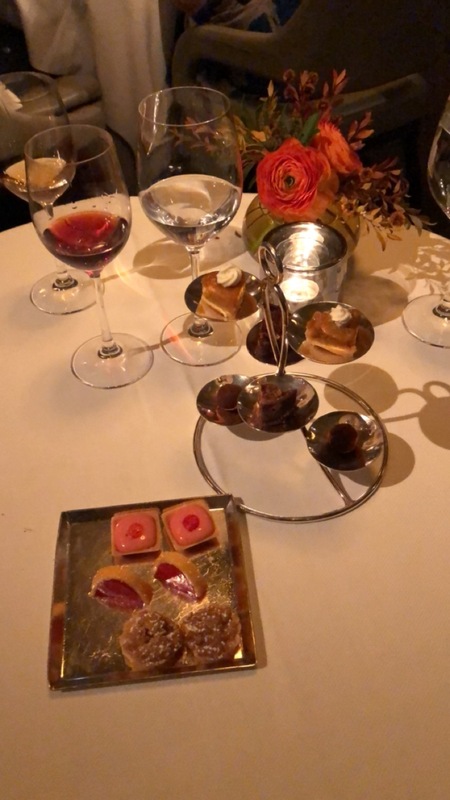 Jean-George is clearly worthy each one of its Michelin Stars, this is one of the best restaurants in the city. my outfit: coat is from last year, heres one from target thats super cute / shoes (run true to size and insanely comfortable!!!) /chanel handbag but heres a dupe for it! 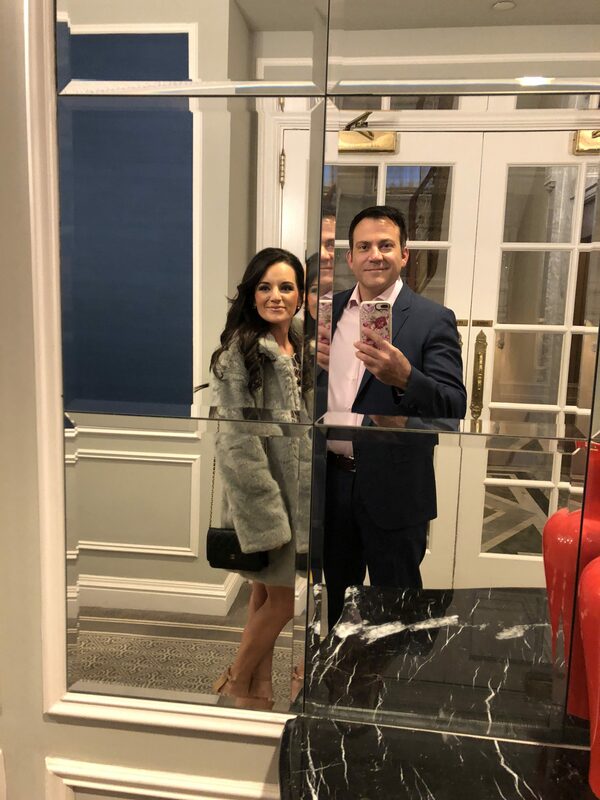 I kicked off Friday in true fashion blogger style with a little Black Friday shopping. While shopping I was able to do a little holiday sightseeing. 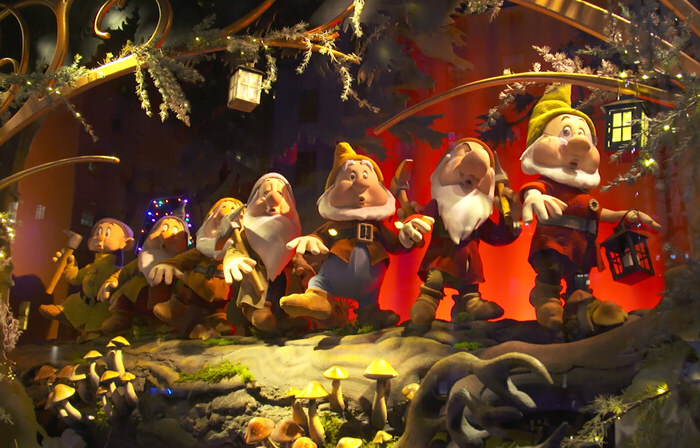 New York City’s holiday windows were as grand as ever. 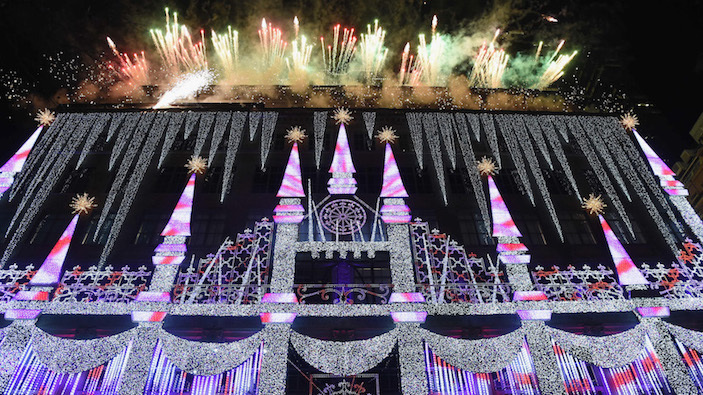 In addition to various holiday markets and the Rockefeller Center Christmas Tree, the unveiling of these extravagant displays is a highly anticipated event that takes place each year. 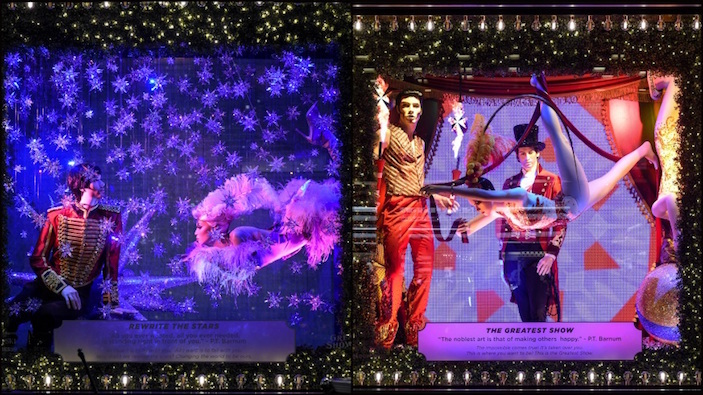 A few of my favorites were: Saks Fifth Avenue, Bloomingdales, Macy’s, and Bergdorf Goodman. The big takeaway from my little excursion is that there are a lot of New York City-themed windows. A view of the 2017 Saks Fifth Avenue. 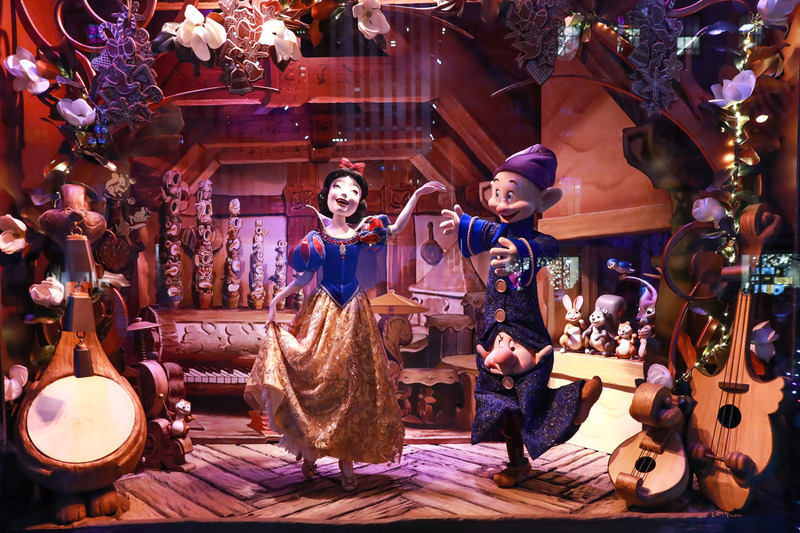 Disney “Once Upon a Holiday” Windows Unveiling at Saks Fifth Avenue on November 20, 2017 in New York City. 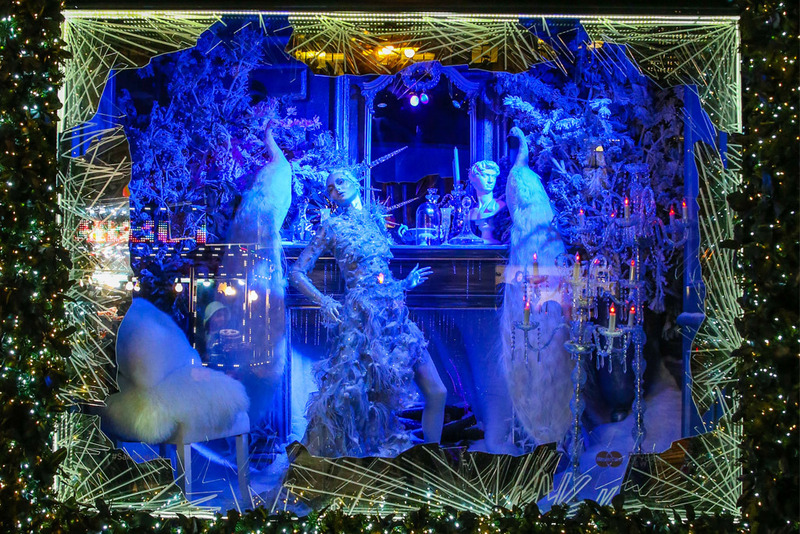 Bloomingdale’s: Over 7 million Swarovski crystals went into Bloomingdale’s holiday windows depicting moments from “The Greatest Showman,” the story of how P.T. Barnum created the Greatest Show on Earth in theaters Dec. 20. 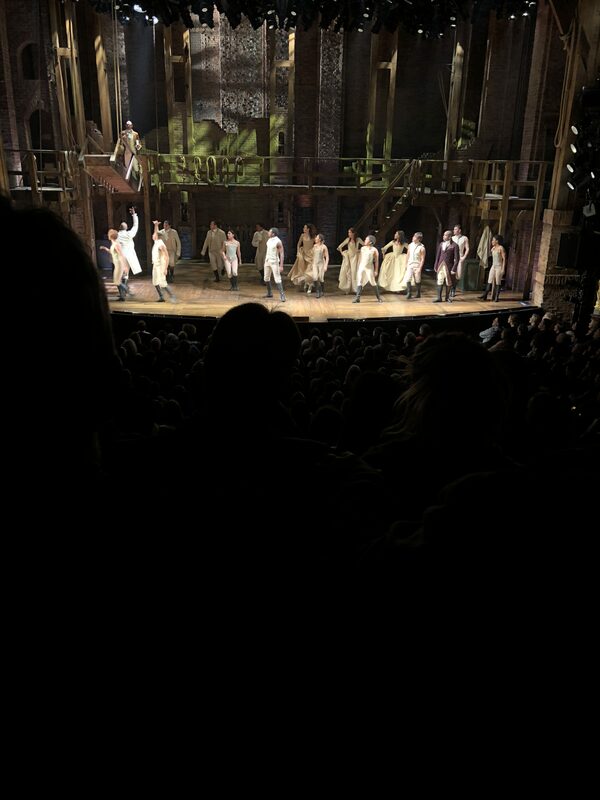 Every trip to NYC, I always try to catch a show on Broadway. 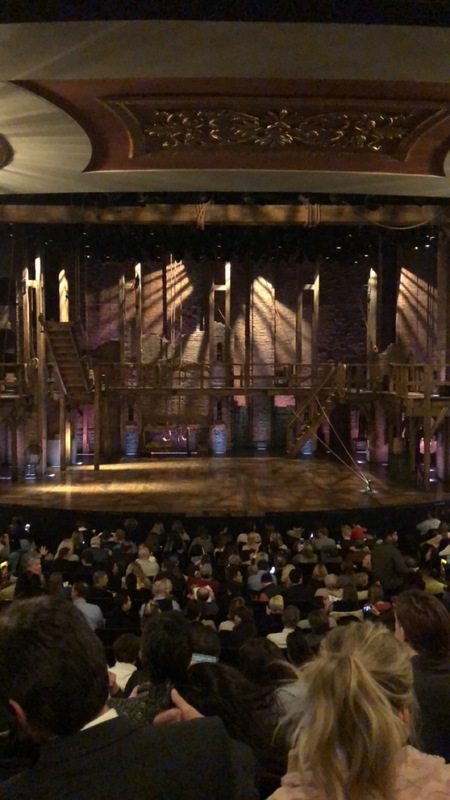 This trip we had the privilege of seeing… HAMILTON! By now, we’ve all heard about Hamilton. To be honest, I’ve heard all the hype but I didn’t know that much about the show before I went. With that being said, I was thoroughly entertained from start to finish. 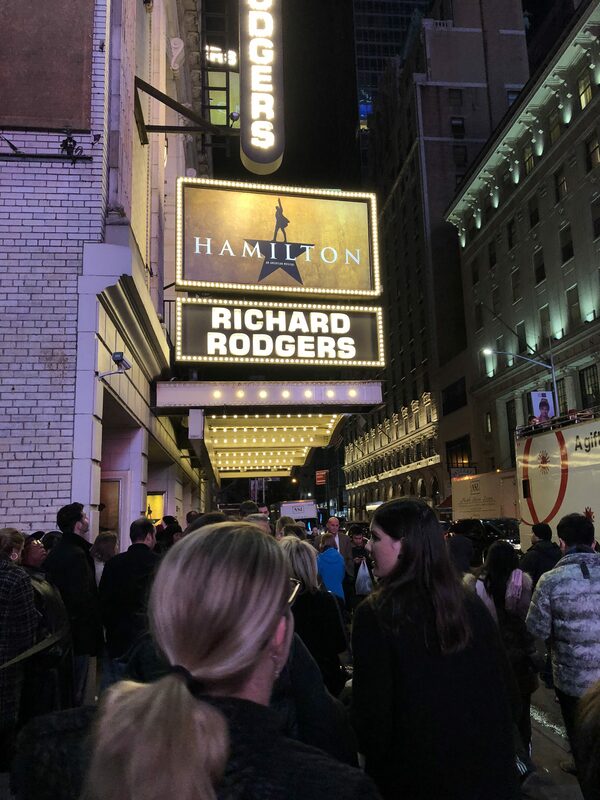 Lin-Manuel Miranda is a genius! 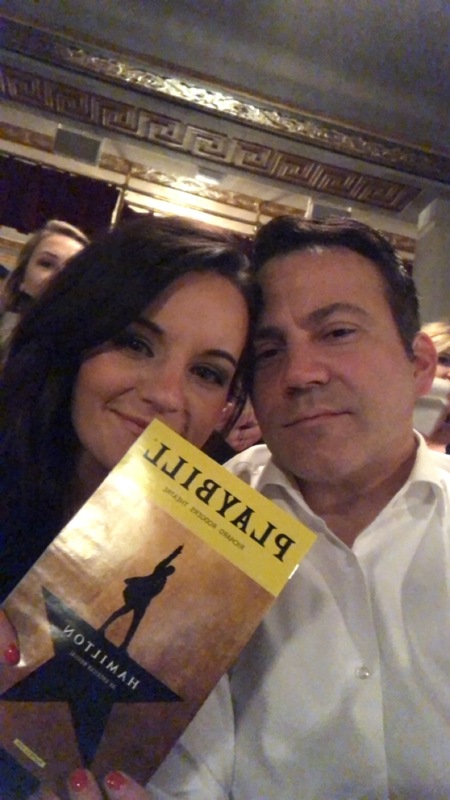 Hamilton is one of those “bucket list” shows that will change your life. The hype about this play is very true! From the very first song you realize you are in for an amazing and unique experience that draws you in quickly. Its refreshing to see a very diverse cast up on stage with multiple types of modern music \ rap. You soon find yourself humming the songs, downloading the music, and wanting to go right back and see it again. Even if you’re not a fan of Broadway, this play is brilliantly constructed, highly entertaining, and historically relevant. What’s your favorite New York City experience or memory? I know I’ll never forget this visit!